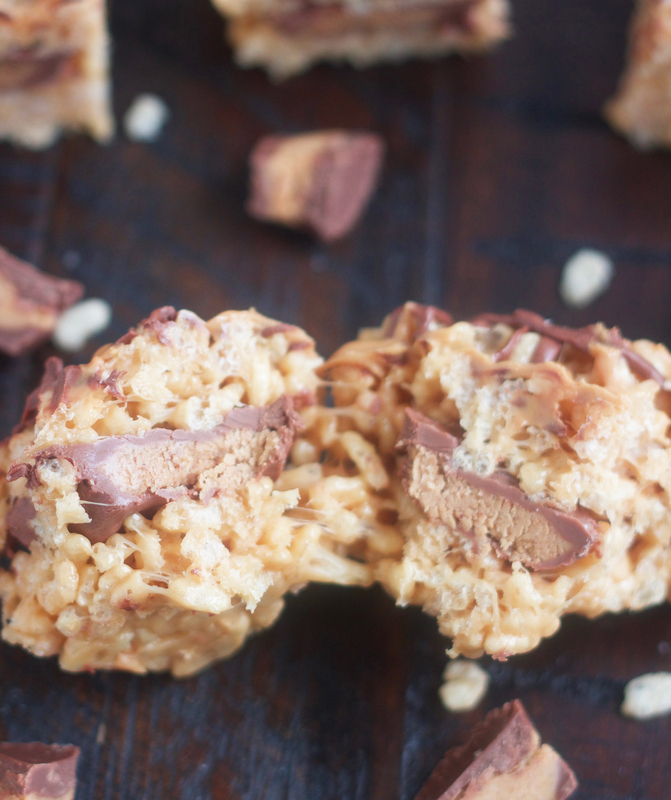 These Reese’s Stuffed Rice Krispie Treats are over-the-top, crazy good. 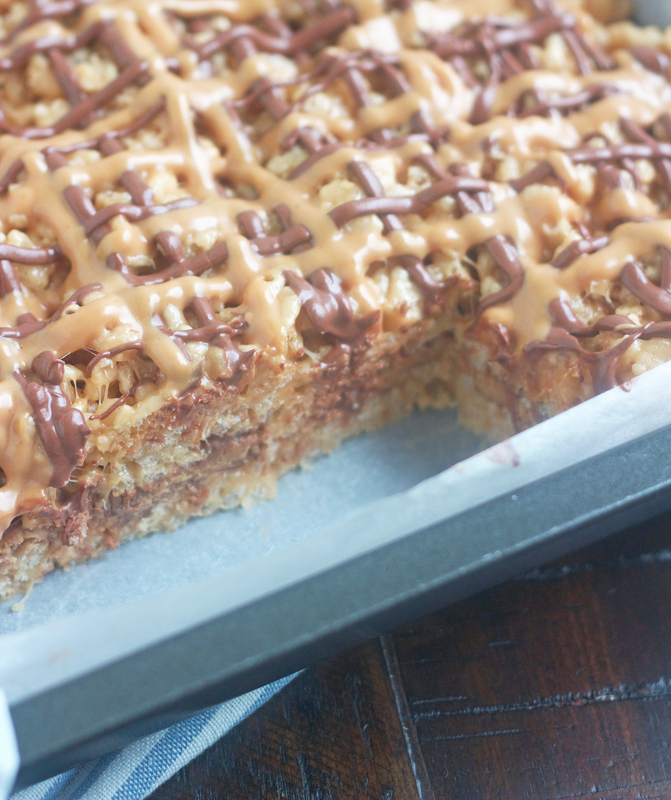 Reese’s Peanut Butter Cups sandwiched between layers of gooey Rice Krispie treat. You’ll be hooked! 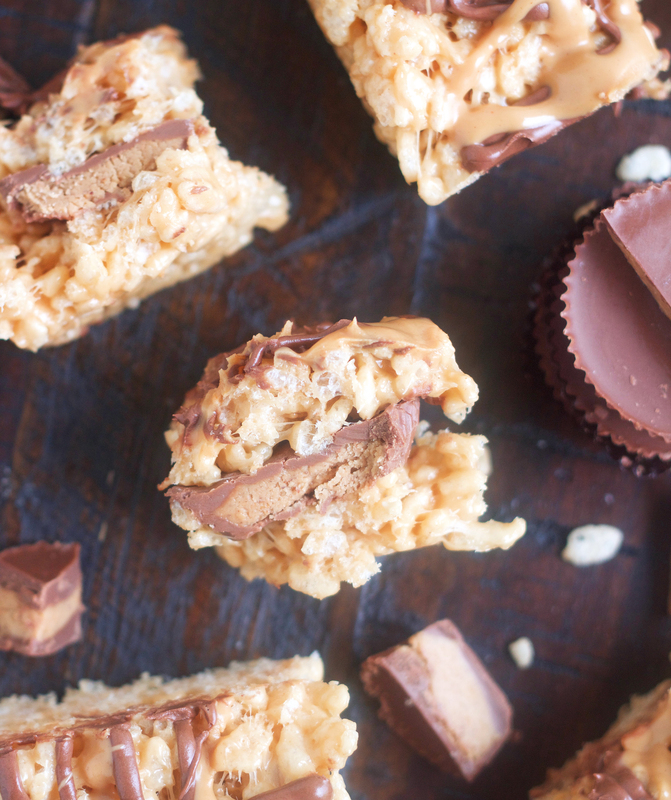 If you’re not drooling over these Reese’s Stuffed Rice Krispie Treats, you should be. But before we talk about how amazing they are let’s quickly talk about my menu plans. If you came here today looking for a new Menu Plan Monday, you can obviously see it’s not here. Just a reminder last week I mentioned that starting in June, I will be posting my weekly menu plan on Fridays. I know a lot of you do your big grocery shopping on the weekends, so hopefully posting my menus on Friday will be more helpful. So look for a new meal plan on Friday. Ok, back to these insanely delicious bars. Rice Krispie Treats have always been a favorite of mine. Just search Rice Krispie Treats on my site and you’ll see what I mean. It’s like they bring the kid out in me whenever I eat one (or three or four). There’s just something nostalgic about them, and I’m guessing I’m not the only one who feels that way. 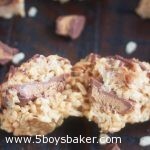 Now, take the classic, delicious Rice Krispie Treat, add a little peanut butter, stuff it with Reese’s Peanut Butter Cups and then drizzle some melted chocolate and peanut butter and top . . . can I just say heaven help me! #peanutbutterandchocolatearemylife These are so good! Like I want to hide in the closet and eat the entire pan good. 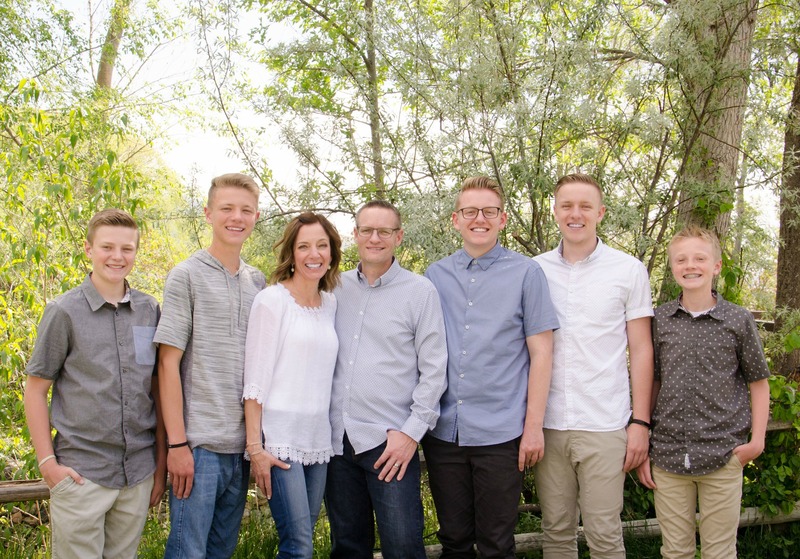 If my boys wouldn’t have been home when I made them and gotten their hands on them, I probably would have. I guess I should be thankful they were home, otherwise I would have needed to pull out some stretchy pants. These are so simple to make. The hardest part is waiting for the chocolate on top to set up. We may or may not have waited. After all, that’s what napkins are for, right? You will love these, I promise! Make sure you melt your butter and marshmallows over medium low heat. I know it’s tempting to turn up the heat so they melt faster, but then you take the chance of overcooking the marshmallows and that leads to hard Rice Krispies. I don’t know about you, but I like mine soft and gooey. You still want there to be some clumps of unmelted marshmallows when you remove it from the heat and add in the peanut butter. The marshmallows will continue to melt and become smooth while you’re stirring in the peanut butter. Make sure you use the full-size peanut butter cups, not the miniature ones that are wrapped individually in foil. If you run your hands under cold water before you press the Rice Krispie mixture into the pan, that will prevent it from sticking to your hands. Lightly spray a 9x9-inch baking pan with cooking spray or line with parchment paper, lightly sprayed. In a large pot over medium-low heat, melt butter and marshmallows, stirring frequently. Remove from heat when marshmallows are almost all the way melted (you still want a few small clumps of marshmallows). Stir in peanut butter and continue stirring until mixture is smooth. Immediately add Rice Krispies and gently stir until combined. Working quickly, press half of mixture into an even layer in pan, then top with the peanut butter cups. Press remaining Rice Krispie mixture over Reese’s. Drizzle with melted chocolate chips and peanut butter, then refrigerate for about 20-30 minutes to set. Jodi love these. My youngest is graduating high school this month and I think I will make these for the safe grad party. Yum. I love the tips section you are including in your posts. So helpful! Hi Teresa, how bittersweet that your youngest is graduating from high school. Time goes way too fast! These will definitely be the hit of the party! Thanks for letting me know the tips are helpful for you, I really appreciate that. Have a great week! I always love hearing from you! My new favorite Rice Krispie Treat!! These are dangerously good! What kind of chocolate do you use on the top of the rice krispie treats. Milk, semi-sweet or bittersweet? Clara and I made these and I lost control. I ate too many but it made me happy! So delicious!! Easy to make and so yummy! !